Assessment in higher education is an area of intense current interest, not least due to its central role in student learning processes. Excellence in University Assessment is a pioneering text which contributes to the theory and practice of assessment through detailed discussion and analysis of award-winning teaching across multiple disciplines. It provides inspiration and strategies for higher education practitioners to improve their understanding and practice of assessment. Promoting student engagement with feedback. 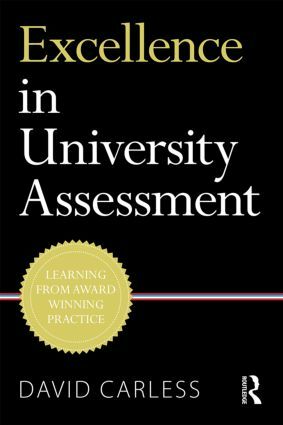 An indispensable contribution to assessment in higher education, Excellence in University Assessment is a valuable guide for university leaders, middle managers, staff developers, teachers and researchers interested in the crucial topic of assessment.